Lush, rolling wheat fields as far as the eye can see are an iconic image of the Oklahoma landscape. 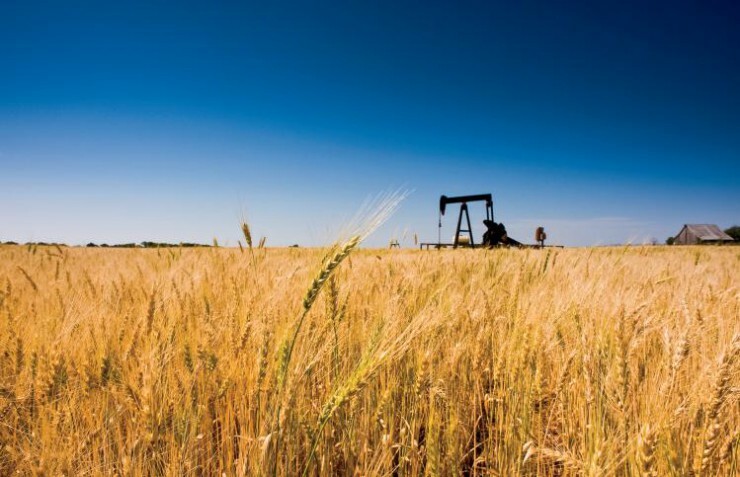 The largest plant commodity in the state, with an average of 5.2 million acres planted each year, wheat annually contributes over $1 billion to Oklahoma’s economy. And there’s no question when it comes to wheat’s reception from consumers – humans have made this staple crop a part of their diet for more than 10,000 years. For the state’s wheat farmers, growing this golden product means feeding families. Thanks in part to the research of Oklahoma State University’s Wheat Improvement Team, the state’s farmers enjoy ample wheat-growing efficiency. The team is comprised of interdisciplinary scientists who are responsible for developing enriched wheat seed varieties. Cooperating with other state, federal and private researchers, the team works to strengthen the state’s industry by refining the plant’s genes. Dr. Brett Carver leads the group. 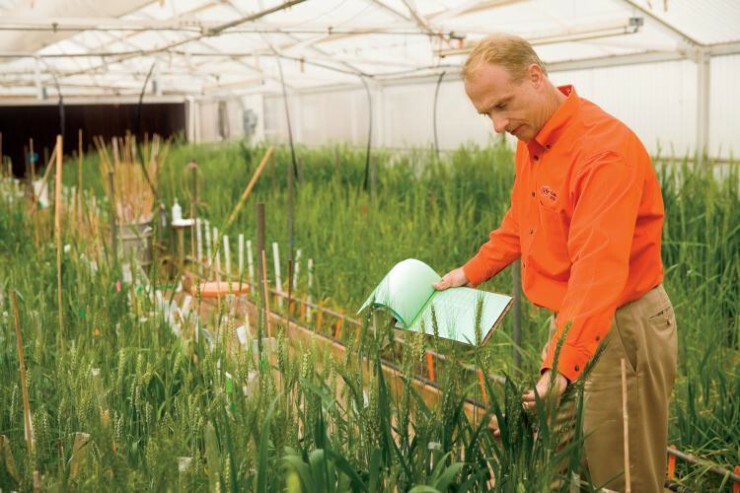 A regents professor in wheat breeding and genetics, Carver has been part of the wheat research team at OSU for 25 years, taking over the direction of the program in 1998. A proverbial steward of the Oklahoma wheat industry, he’s only the third wheat breeder at OSU since the 1940s. “We take advantage of the changes nature has made and then replicate them overnight,” Carver says, describing the work his team does. Through disciplined research, Carver and his team develop products planted in fields across the state. 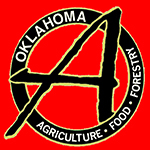 In fact, more than 40 percent of all the wheat planted in Oklahoma are varieties that were developed at OSU. 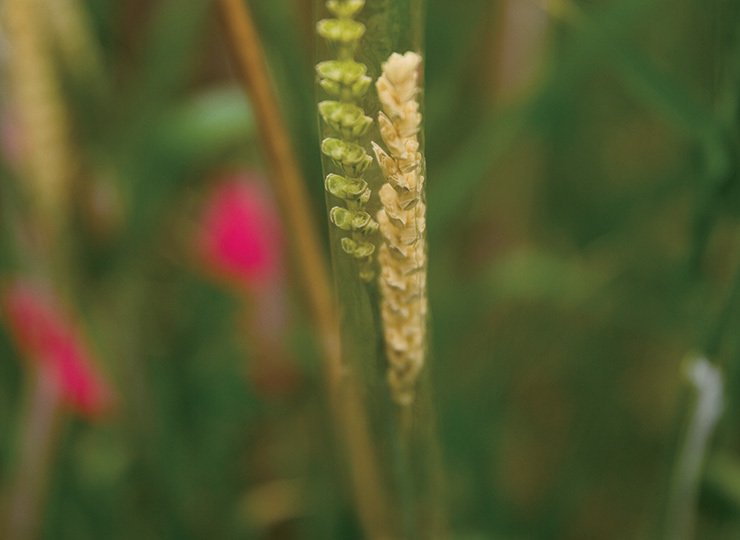 Through years of study and research, Carver has generated wheat varieties with particular strengths to help farmers increase their yields, such as drought tolerance and disease resistance. Wheat’s role as a major crop and contributor to Oklahoma’s economy almost pales in comparison to its ability to answer a more pressing issue – alleviating world hunger. The crop has the potential to be a significant player in the dilemma, but unfortunately, this isn’t the area often discussed on the national stage. Wheat, an affordable and available source of protein, provides 21 percent of all food calories in the world. In 94 developing countries, 4.5 billion people rely on the grain as their main source of protein. However, consumers in developed countries have begun removing wheat from their diets, associating it with increases in obesity and gluten allergies. Misinformation has been disseminated; linking wheat to the recent rise in celiac disease, a gluten intolerant genetic disorder. As a longtime staple of the human diet, grains like wheat are an essential source of fiber. Unlike the fiber found in fruits and vegetables, wheat fiber aids in heart health and laxation. She adds that wheat provides over half of the iron in the diet of Americans and is a good source of B vitamins including folic acid, and essential in the diets of women in child-bearing age. Oklahoma makes major improvements and generates revenue selling sesame.